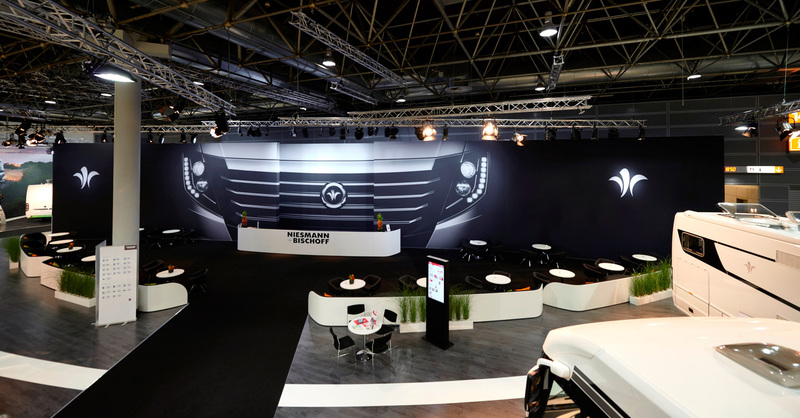 The Flair from Niesmann+Bischoff is the very first Liner with airbag based on Ducato. With a term of two years, the company from Polch has rebuild a whole car and managed successfully to create a safety concept that passed the first crash. 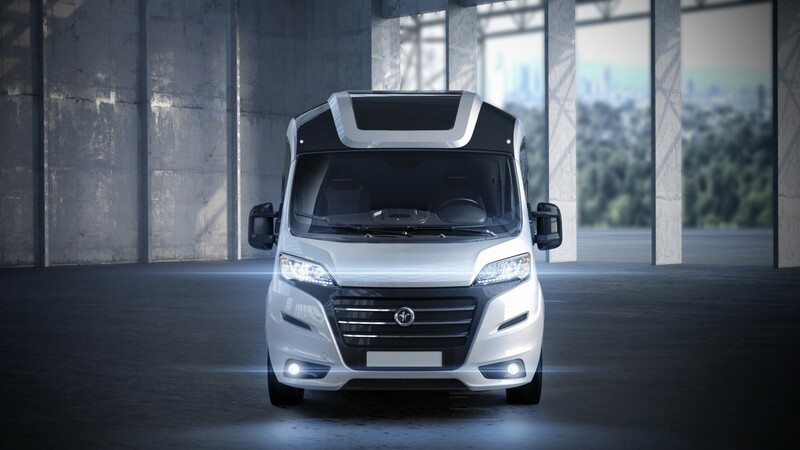 Drivers and Co-drivers airbag, ESP, seatbelt tensioners, Pedal Release System and a newly developed Chassis are set to revolutionize the Flair. For non-experts it is difficult to understand complex technical contexts. 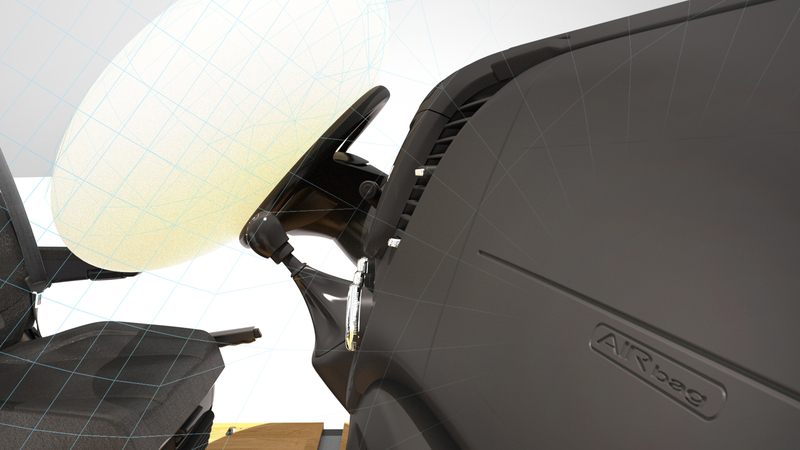 Therefore STUDIOSYN developed and realized a animation, which illustrates the innovative safety concept within two minutes. Axes, decal set, body color, rims and accent color: with the latest software STUDIOSYN is able to create high quality visualizations, rapidly and cost-effectively to show the great variety of Smove, Arto und Flair. 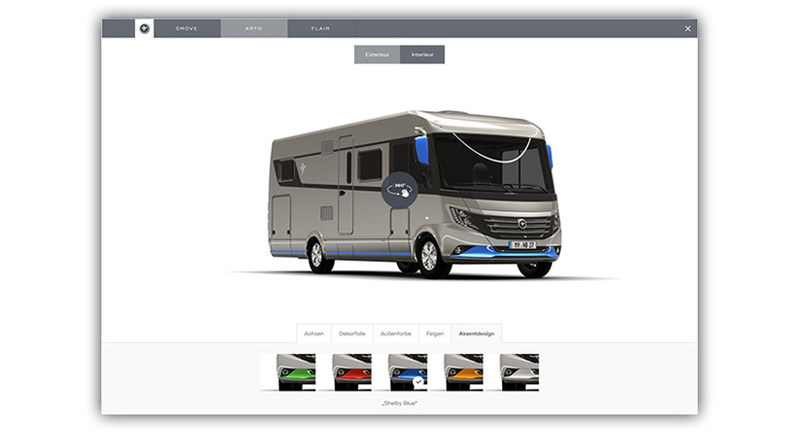 Niesmann+Bischoff are therefore capable to visualize their caravans thru an online configurator in the quality of the automotive industry.